Hydrocephalus, a buildup of fluid in your brain, can occur at any age, but it’s more common in infants and senior adults. At any age, hydrocephalus is a serious problem that can lead to brain damage. 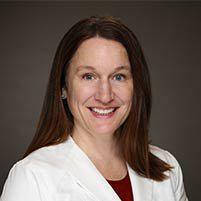 Dr. Carrie Shulman at The Florida Center for Minimally Invasive Neurosurgery specializes in neurosurgery, including a minimally invasive procedure that can bypass the buildup of fluid. At the first sign of hydrocephalus, call their office in Clearwater, Tampa Bay, Florida, or book an appointment online. When the fluid accumulates, it can damage brain tissue and cause severe impairments in brain function. Hydrocephalus develops due to an imbalance between the amount of cerebrospinal fluid produced and the amount absorbed back into the bloodstream. The problem most often happens when the normal flow is blocked, preventing fluid from leaving a ventricle. It can also occur if blood vessels don’t absorb enough fluid, or more rarely, when cerebrospinal fluid is produced more quickly than it’s absorbed. In infants, you’ll see an abnormally large head, a bulging soft spot, or prominent scalp veins. When hydrocephalus occurs in older adults, their symptoms may seem like dementia. They may have a shuffling gait, memory loss, and bladder control problems. The treatment for hydrocephalus depends on its underlying cause. It may be treated by removing the obstruction, or by diverting cerebrospinal fluid to another location by inserting a shunt. For example, the shunt might carry fluid from the brain into your abdominal cavity. Dr. Shulman may also consider a minimally invasive procedure called an endoscopic third ventriculostomy. Using a tiny camera inside a thin tube — an endoscope — Dr. Shulman can examine the ventricles and determine where to create a new pathway for the fluid to flow through surrounding ventricles. If you develop symptoms of hydrocephalus, call The Florida Center for Minimally Invasive Neurosurgery, or use the online booking tool to schedule an appointment.